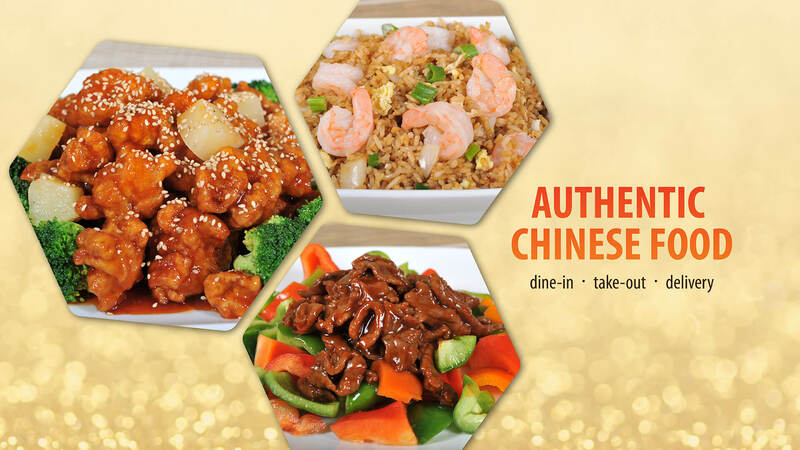 WHAT DO YOU EXPECT FROM A TAKE-OUT SERVING CHINESE FOOD CATERED TO THE CANADIAN PALETTE WITH A SMATTERING OF THAI FOOD? Good taste, excellent hygiene, better than expected service? 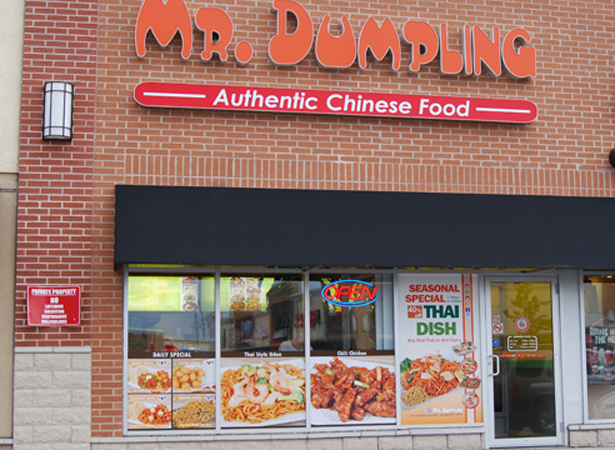 Besides the extremely marketable catchy name, Mr. Dumpling, the winner of top 100 Chinese restaurant in North America Awards 2008, is one of about one hundred specialities here. To ensure every customer who comes through our doors leave impressed by our prompt, friendly and courteous service, and excited to come back again. To maintain a clean, comfortable and well maintained premises for our customers and staff. Healthy and variety is our signature. Our entrees will feature and offer the freshest and finest ingredients available. No MSG will ever be used in our food preparation. The concept has been positioned as offering a superior product at reasonable price points, creating a significant enjoyable and healthy meal for our customers. In Mr. Dumpling, you will enjoy creative dishes in a chic, modern setting with an exposed kitchen where you can see and hear the chef and staff as they prepare your meal. See our main menu, for both dine-in and take-out with the link below. We also have party trays available here. See our offers now! 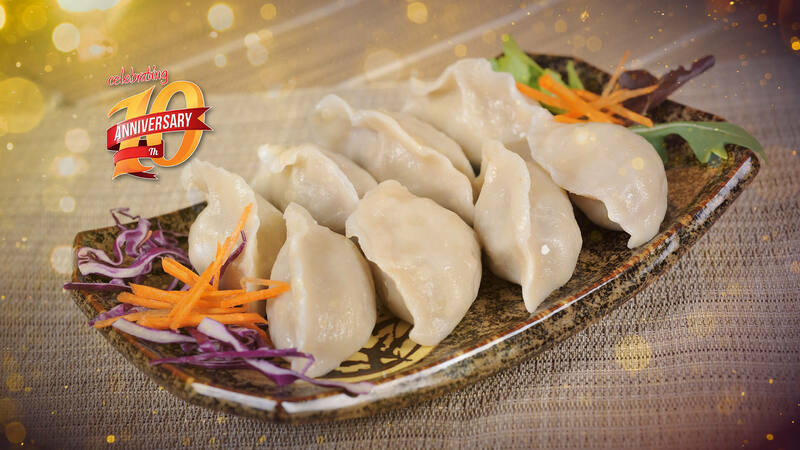 Did you know that the shape of a dumpling resembles a Chinese golden tael; therefore they symbolize good fortune in the coming year. Check out our gallery for a preview of what's available. 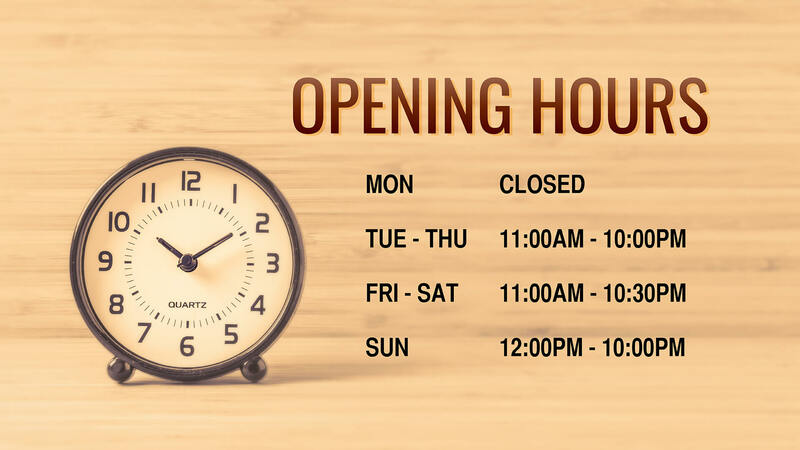 Holiday hours may be different. Copyright © Mr. Dumpling. All rights reserved.